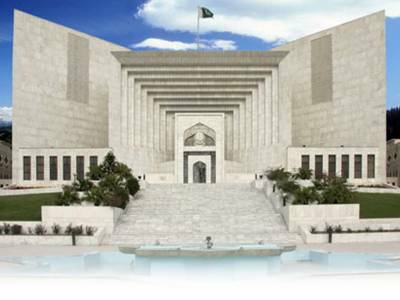 ISLAMABAD: The Supreme Court (SC) directed Islamabad High Court to wrap up cases regarding promotions of Secretariat Group and Pakistan Administrative Services (former DMG) Group, within a month. A three-judge bench led by Chief Justice Mian Saaib Nisar heard the petition moved by Azra Jamali and Shazia Toor, from Secretariat Group. Justice Nisar remarked that DMG officers treat like step-mother with other officers, and wanted to kick out Secretariat group from the field. Nayyer Bukhari, counsel for the petitioner apprised the bench that the matter is pending before the IHC since years which effecting the promotion of about 1400 officers. He pleaded that promotion matter of Federal bureaucracy was deteriorating day by day, as differences erupted among high ranks of bureaucracy on not giving the respective promotion quota. The court subsequently, while directing to decide the cases concerned within a month, disposed of the matter.